pancakes are always a good idea. 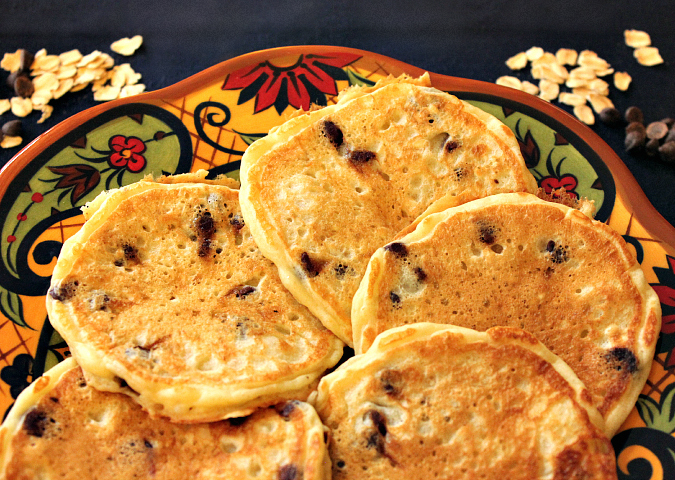 you simply can't go wrong with pancakes in our house. 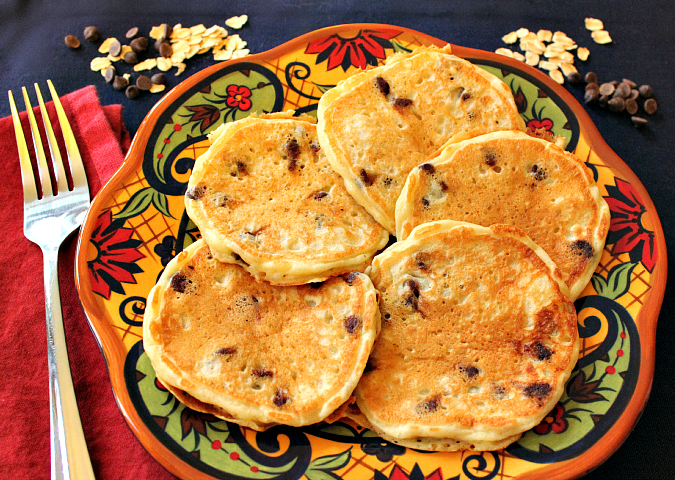 these pancakes are loaded with oats, yogurt, and chocolate chips. 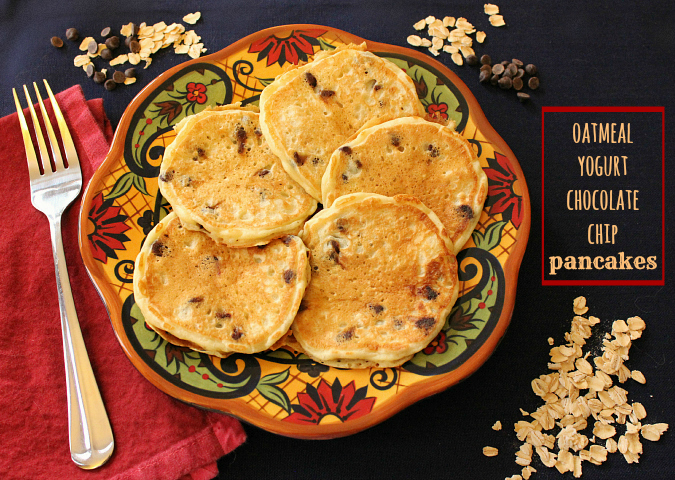 the oatmeal gives these pancakes a nice texture, while the greek yogurt makes them nice and fluffy. and the chocolate chips? well, they make them just a little bit naughty. combine the flour, oats, sugar, baking powder, and baking soda in a large bowl. in a separate bowl, whisk together the yogurt, milk, and egg. add the wet ingredients to the dry ingredients and stir to combine. stir in the melted butter. fold in the chocolate chips. heat a lightly buttered griddle or frying pan on medium heat. pour 3 tablespoons of batter onto the griddle for medium pancakes. cook for 3 minutes, until small bubbles begin to form. flip the pancakes when they start to bubble, then cook for 2-3 minutes, until they are golden brown and cooked throughout. once cooked, transfer the pancakes to a baking sheet and place in a preheated 200 degree F oven to keep warm while you cook the remaining pancake batter. serve warm with warm maple syrup. These look easy to make and the photos are very attractive! Pancakes look good and healthy. i really like the plate.